The non-surgical approach delivers aesthetic results with minimal downtime. Laser cosmetic treatments are used on the face, body, and skin to rejuvenate, enhance and renew. If you’ve considered rejuvenating your face, body or skin using the advanced laser options, begin by researching and understanding the various options. One of the most popular treatments, may require a few visits, but the results are amazing, both ladies and men are happy to never have to shave again. Facial, body, and underarm hair is permanently zapped leaving the skin hair free. The obviously colorful spider veins on the legs and thighs can be frustrating. Lasers have been effective in removing the spider veins leaving the legs smooth and visibly attractive. Various lasers can be used to treat the visibility of acne and other scars. Multiple visits are necessary, the scar treatments vary depending on the severity, it may also require a combination of other non-surgical and surgical cosmetic treatments. Our skin is naturally programmed to rejuvenate, skin resurfacing helps rejuvenate the skin by treating the outer layer, allowing for new growth to occur. The result is a fresh smooth surface with an amazing natural glow. Lasers do wonders with promoting the skin to produce collagen and tighten, this procedure helps with the elasticity and overall condition of the skin. Looking younger and feeling more refreshed with less down-time. From hair removal to anti-aging and everything in between, laser cosmetic treatments are a great choice when compared to other methods. Cosmetic professionals agree, a well-informed patient will make a better decision, when it comes to this or any other cosmetic procedure. The laser cosmetic equipment varies by manufacturer. Also, knowing the similarities and differences is very important. Your cosmetic care provider is your best source for answering your questions and addressing your concerns. 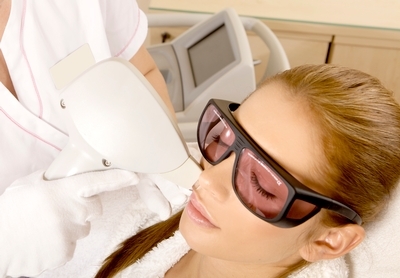 Are laser treatments for everyone? The laser cosmetic treatment may be effective on some patients and not others. This will all be based on your particular skin type, tone, and the aesthetic goals you’re looking to achieve. Schedule a complimentary consultation and let us help you find the best dermatologist or laser cosmetic center.